Englewood, Colorado. 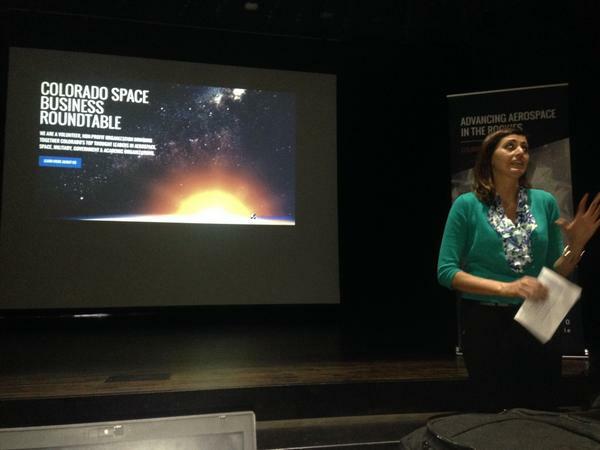 September 29, 2014 – For the second consecutive year, the Colorado Space Business Roundtable (CSBR) has embarked on a state-wide road trip event known as the Aerospace Business Development Road Trip. The goal of the event is to expand relationships and business opportunities between aerospace leaders, local chambers, economic development groups, public officials, academia and individual businesses. During the Southwestern Colorado event, which began today and will run through October 3, participants are meeting with local elected officials and business and community guests in the Colorado aerospace industry. The trip includes stops in Canon City, Alamosa, Farmington, Durango, Montrose, and Buena Vista. Most events are free and the public is encouraged to attend. Full community agendas are available on request from Stacey@coloradosbr.org. Last year’s inaugural road trip included programs throughout Northwestern and Southwestern Colorado. The event brought together over 200 attendees and directly resulted in the creation of the first-ever Colorado Aerospace Internship Experience program. Colorado employs more private aerospace workers per capita than any other state, and is the third largest space economy in the country, injecting $8.7 billion into the state in 2011. More than 25,000 Colorado aerospace workers earn an average salary of $127,000, and the industry supports close to 170,000 space-related jobs. The annual Aerospace Business Development Road Trip plays a key role in driving further aerospace industry growth in Colorado by connecting companies, suppliers, subcontractors, and other stakeholders. To follow the events in each local region, follow CSBR on Twitter @COAerospace using the hashtag #CSBRtrip.